Though it seems we’ve all been hearing about essential oils more and more lately, they’ve actually been around for centuries and have even been said to date back to King Tut’s tomb. Essential oils, concentrated, volatile, aromatic liquids that are obtained from the fruits, seeds, flowers, bark, stems, roots, leaves, or other parts of plants, are used for healing* and aromatic benefits. And to help you better use them, we are excited to share some information from a trusted source and our long-time sponsor, Plant Therapy. If you’re new to essential oils, you are in luck! Here’s the scoop on some of the most popular oils and how to use them. Lavender Population is known for being calming by reducing anxiety and acting as a stress reliever. It can also help with minor burns and reducing scarring and other skin issues including eczema and psoriasis. Lemon can be refreshing, energizing, and uplifting. It can also be added to your favorite household cleaner to help refresh and sanitize. Peppermint is stimulating and can help enhance alertness and improve your energy. It can also relieve headaches, nausea, digestive problems, and congestion. Because of its menthol content, peppermint has a cooling effect which can also help reduce a fever and relieve pain. Tea Tree is often known for its ability to help combat acne and oily skin. You can also add a few drops to laundry to help keep things fresh. Frankincense frereana is especially prized for its skin rejuvenating properties. It’s great for wrinkles, scars, dry skin and damaged skin, and can help heal a wound or cut. It can also calm and relax your body and uplift your mood. Move over hand sanitizer! A germ fighting oil is great to have on hand to help your family fight any sickness you might come in contact with. Do you or your child suffer from allergies? These synergies have been known to alleviate symptoms caused by seasonal allergies. Beware summertime buggers! Your family can play outdoors more this summer with an all natural insect repellent using these synergies. These relaxing synergies are great to use during the day or before bed when you or your child are feeling overwhelmed or extra wound up. These two oils are perfect to help you or your little one sleep more soundly during the night. Fall asleep faster and stay asleep longer. I know we’ve all gotten to a point where we will try anything! FREE shipping on every order! You can get organic oils that are economical and well made AND get them shipped directly to you for FREE. Plant Therapy offers only 100% pure essential oils. They are always free from additives, adulterants, and dilutions. All of their oils go through multiple rounds of testing, including first being organoleptically tested by world renowned essential oil expert Robert Tisserand before being sent to several third-party testing facilities. Every batch of oil you purchase from Plant Therapy will have a batch code number on it. This code correlates directly with the GCMS reports that can be found on the product page and have Tisserand’s comments as well as the 3rd party chemist’s signature. This is their way of ensuring that the consumer knows that the reports are not edited in any way. Plant Therapy is also one of the few companies who offers USDA Certified Organic essential oils, carrier oils, and more, which is something that our readers tell us is important to them. 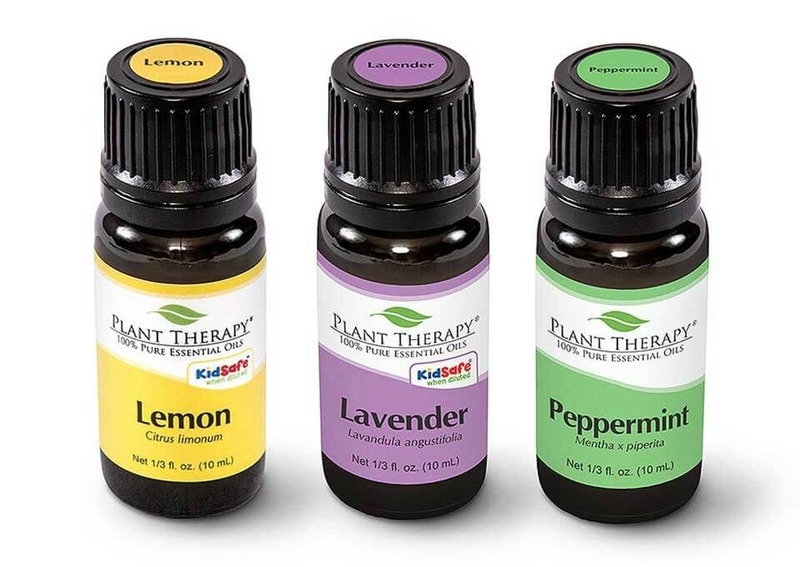 Plant Therapy offers a full line of blends for children, the first ever line of essential oils created just for children. When you are seeking out essential oils, quality should be one of the top priorities in what you are seeking. Plant Therapy’s excessive testing and commitment to quality ensure that you get a sound product. Essential Oils for Emotional Support + a Giveaway! What is the difference between your oils and say DoTerra or Young Living? I just notice a marked difference in price and wondered. Also, how are your oils tested for purity? Some of the bigger companies claim perfectly pure oils due to the fact that they own their own farms…how pure are your oils if they are outsourced? Thanks! Hi Rebekah. This should help: https://www.planttherapy.com/essential-oil-quality. The biggest difference in Doterra and Young Living compared to Plant Therapy is that Doterra and Young Living are Direct Sales/Multi-Level Marketing companies and Plant Therapy is not. Not that anything is wrong with DS/MLM companies or their products, but the fact that the consultants of these companies are paid commissions from their sales is why the products from most DS/MLM companies cost more than products from non DS/MLM. As for essential oils, GCMS is currently the only method to test the “purity” of the oils. Finding a company that uses third party testing and makes these results available to its consumers is the only way to know exactly what is in your oils. Anyone can claim they have the best and purest oils, but since essential oils aren’t regulated by the FDA the only way to prove those statements is through GCMS testing. I have used Plant Therapy, Doterra, and Young Living and I personally couldn’t tell a difference, which is why the GCMS testing is important. I use a wide variety of brands of oils but recommend doing your own research into how “purity” is actually determined and how some companies can make claims that aren’t next true. Your comments and the link have been most helpful! Do you need to dilute oils in water before using them? For example, if you use Tea Tree to treat acne, do you apply it directly to your face? If you want to use Peppermint for a headache, where do you put it? Hi there. We aren’t experts on oils but there are volumes of information out there about proper essential oil usage. This is one of my favorite websites with extensive info: https://draxe.com/essential-oils-guide/. I’ve taken his course on oils, as well, but still have a lot to learn. There are also apps that have comprehensive information to have at your fingertips. We really love the Nighty Night roll on. I have 5 little ones and they always ask for it before bed. They love the smell, too! 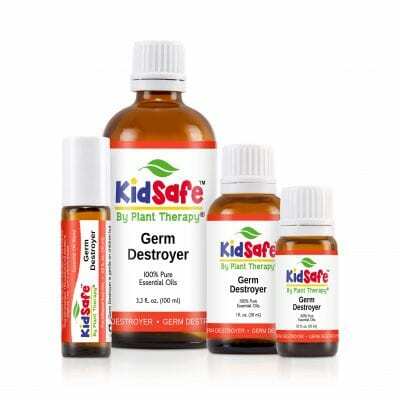 We love Plant Therapy, especially their kid safe designation. I would add orange and grapefruit as they are fresh and uplifting. I’m so excited to see that 2 of my favorite companies are connected. I have several oils from Plant Therapy. Peppermint is my favorite with Orange and Lemon are close behind! I love making my own roll-on bottles with fractionated coconut oil and whichever oil/oils I want to apply. I really appreciate when a blogger posts about oils that are not Direct Sales or MLM companies. I have been a fan of Plant Therapy for years and will continue to use them because I trust their process, their purpose and their safety! We love Germ Destroyer, lemon, lavender, peppermint, grapefruit….etc, etc!